Superdry men’s Flag Army Jacket. 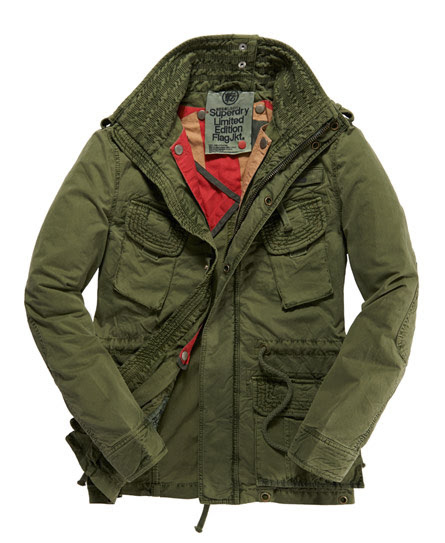 A military inspired jacket, featuring zip and popper front fastening, drawstring waist and four front pockets. This jacket is part lined inside with a detachable lining that is flag inspired. It also features a Superdry empbroided logo on one shoulder blade and a Superdry badge above one of the front chest pockets. 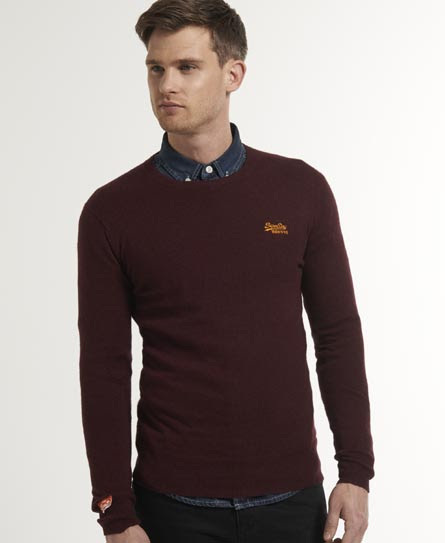 Superdry men’s cashmere blend crew-neck jumper from the Orange Label range. A classic design crew-neck jumper featuring an embroidered Superdry chest logo and a Vintage Superdry sleeve logo tab. 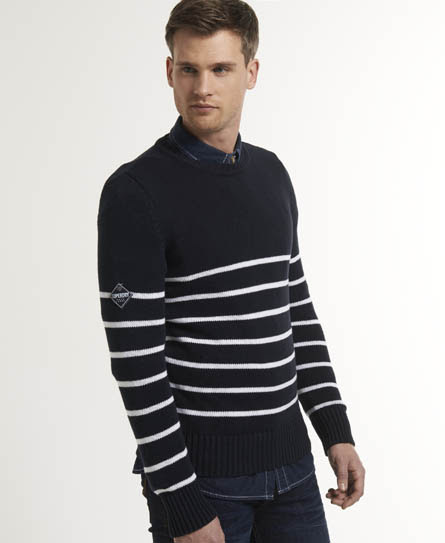 Superdry men’s Regent Breton crew neck jumper. A classic crew neck jumper in soft cotton featuring a breton inspired stripe design, ribbed trim, a Superdry logo patch on the hem and is finished with a Superdry logo badge on the right sleeve. A classic zip-up lightweight Henley top in pure cotton, featuring a three colour striped collar lining and an embroidered two colour Superdry chest logo. 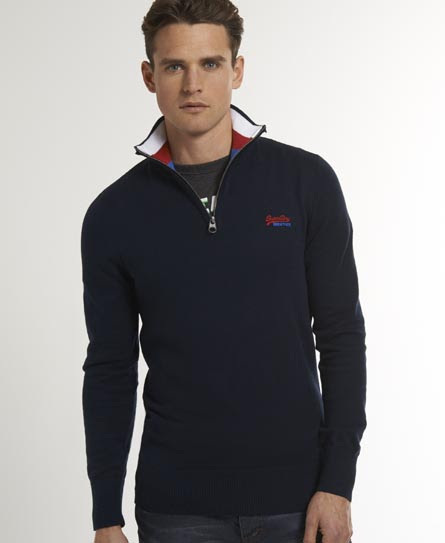 A zip collar Henley jumper featuring a ribbed collar and finished with a Superdry logo patch on the hem. 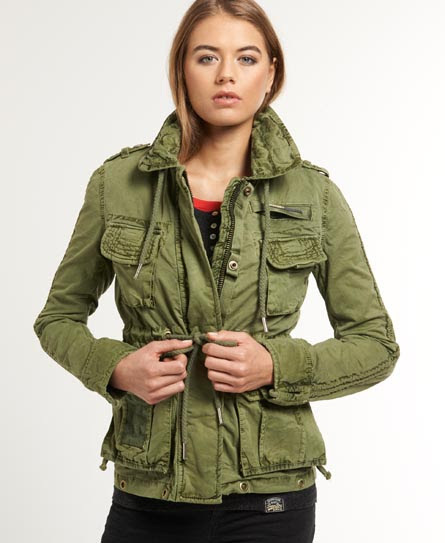 A military inspired jacket, featuring zip and popper front fastening, drawstring waist and four front pockets. This jacket is part lined inside with a detachable lining that is flag inspired. It also features a Superdry empbroided logo on one shoulder blade and a Superdry badge above one of the front breast pockets. 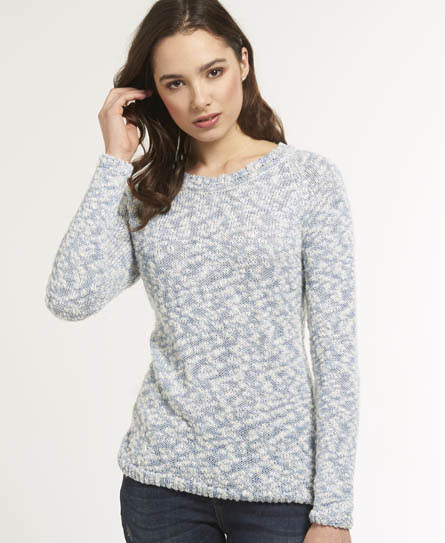 An open knit loose fitting jumper with an open crew neckline and a dip-dye effect finish. The Dip Dye Slouch jumper also features split side seams and is finished with an embossed Superdry logo patch on the hem. An oversized knitted top featuring a rolled edge neckline and turned up sleeves. 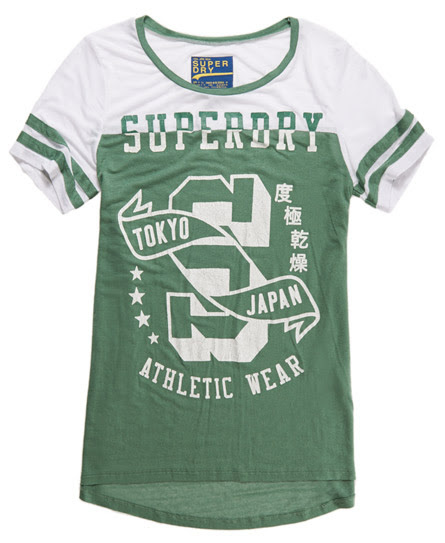 This top also features an embroidered Superdry hem logo. 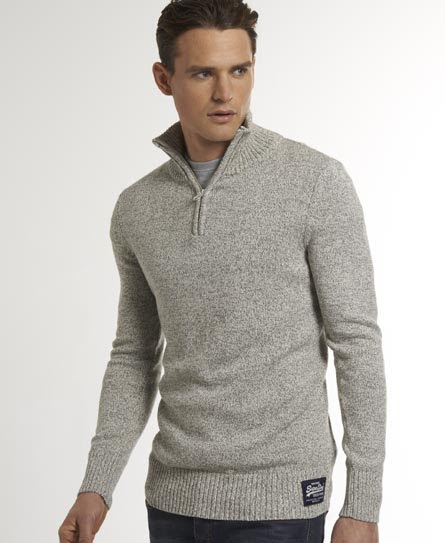 A supersoft crew neck jumper in an angora-blend cable knit fabric, featuring two button shoulder fastening, ribbed hem and cuffs and an embroidered Superdry hem logo. This shorter length loose-knit oversized jumper is made from an alpaca and mohair blend fabric and features a classic crew neck, twin front pockets, and is finished with an embossed leather Superdry logo patch on the left pocket. A nautical inspired crew neck jumper featuring a single sleeve pocket with a circular Superdry logo patch. 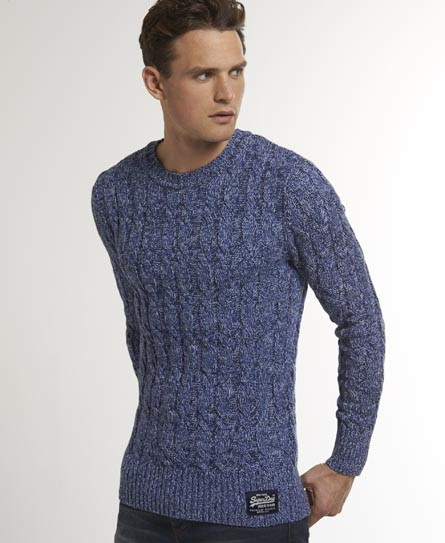 Superdry men’s Summer Jacob cable knit jumper. 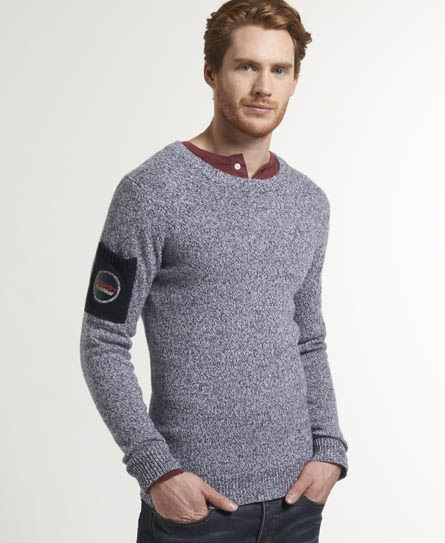 A classic cable design knitted jumper in soft cotton featuring a crew neck and a Superdry hip logo patch. Superdry men’s fitted Sport Boxer shorts. A boxer short with your comfort in mind featuring a panelled design, Superdry branded waistband and leg logo tab. Superdry women’s Slub Rider knitted jumper. A crew neck jumper with a slub effect design. The Slub Rider jumper features Raglan sleeves and is finished with a Superdry hem logo patch. Superdry women’s Athletic Wear Top in two colour fabric, featuring a cracked logo print, striped sleeves and a rounded off back hem. An open-knit cardigan featuring a contrasing coloured trim, long sleeves, two front pockets, and an embroidered Superdry pocket logo. If you have any questions about the Superdry bestsellers and gift ideas, or would like to know anything else about the Superdry bestsellers and gift ideas, please get in touch and feel free to tell us! This entry was posted in Uncategorized and tagged Clothing, Men, Women by admin. Bookmark the permalink.